Telstra Corporation and Multi Channel Network (MCN) have brokered a deal that will see the pair’s combined online assets become the seventh most visited online group in Australia, and in the top handful of digital advertising players. The partnership will see MCN represent key Telstra online assets and deliver advertisers an average monthly unique audience of 8 million Australians per month, according to an announcement issues today. This would place the Telstra-MCN combination behind only Mi9 (ninemsn) and Yahoo!7 as the biggest Australian publishers, based on June’s Nielsen Online Ratings. 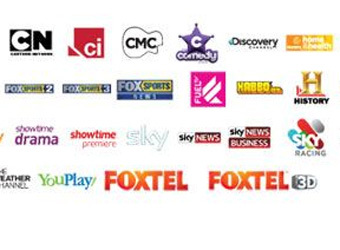 From October, MCN will offer integrated sales packages which include 42 of Telstra’s online portals and sites as well as mobile, tablet devices and IPTV. Group managing director, Telstra Media, Rick Ellis, says the deal with MCN would deliver top-tier advertising scale and give clients access to cross-platform marketing opportunities across Australia’s premium entertainment brands. “The combined strength of MCN and Telstra Media’s assets will make the enlarged network one of the top five players in the Australian digital advertising market. This outcome makes strategic sense by strengthening Telstra Media and MCN’s capabilities to deliver innovative advertising solutions to the market,” Ellis says. The deal will enable Telstra to target multiple devices including television, Ellis adds. MCN’s brands, which include FOXTEL Networks, FOX SPORTS, Sky News, The Discovery Networks, BBC Group, Showtime, ESPN and Sky Racing, attracted 500,000 unique viewers to its video content in April, according to comScore. CEO of MCN, Anthony Fitzgerald, says, “Telstra has developed some of Australia’s leading online media and entertainment properties and we are delighted to be able to represent and leverage the value of those assets within the Australian market. Telstra’s digital assets include Telstra T-Box, BigPond.com, BigPond TV, BigPond Sport, BigPond News, AFL.com.au, NRL.com.au, V8 supercars, the Racing network, music streaming service MOG and restaurant booking service Dimmi.